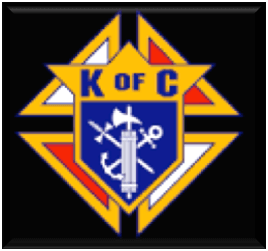 The Knights of Columbus and the Auxiliary groups raise money every year from various fundraising activities such as the Lenten fish fry dinners, the sale of Tootsie Roll candy, breakfast and dinner meals in the Church Hall, the annual flower sale, raffle ticket events, etc. The money raised from their activities is donated to worthy causes and organizations. Listed below are the causes and organizations supported by the Knights of Columbus and the Auxiliary groups this past year. If you have any questions or comments about these donations, please contact Kodi Schulist (Knights) or Mary Jo Stewart (Auxiliary). Thank you to all who supported our efforts.